Testimonials – Buckwalter Landscape Services, Inc.
Ryan Buckalter has been caring for our property for the last four years. He and his crew have maintained the lawn, removed leaves and debris and faithfully cleared the snow from all walkways, steps and driveway. He has also removed unwanted shrubbery and most recently, rebuilt our patio to effect better drainage. We are please with his work and enjoy working with Ryan. He is easy to talk to and responds well to suggestions. The property is for sale, but we know we can depend on them for as long as we need his services. Professionalism, Stellar Service, Competitive Pricing, Outstanding Dependability… We have used Buckwalter Landscape Service on several projects for the last decade. Our yard started as one big hill. Ryan worked with us on a design to create an incredible back yard OASIS. Major excavation, patios, retaining walls, walkways, fencing and an arbor and VOILA…. It has been our pleasure to work with such an exceptional craftsman that truly cares about the homeowners needs. We would highly recommend Buckwalter Landscape Service to everyone!! Thank you Ryan and Team for a job that is above and beyond our expectations! Recently we had a rather sizeable hole develop in our yard from an old existing septic tank that had been cover up years ago. I called Buckwalter’s and was pleased with their quick response to come and assess the hole. On the day scheduled to fill in the hole, Ryan Buckwalter arrived at the time he had previously specified. He was professional and very pleasant in discussing what would be done. He filled the hole, applied top soil and seeded the area. He took great care to make sure the existing lawn was not damaged while working in the area near the hole. When he was finished he made sure the area was clean and free of any dirt or debris in the driveway. I highly recommend them and I look forward to being able to use Buckwalter landscaping again, for any future landscaping projects. 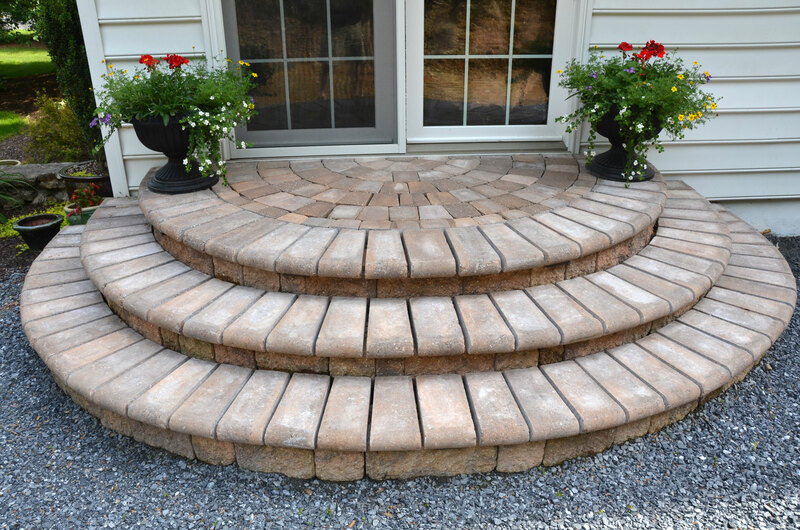 Buckwalter Landscape Services, Inc. has been our landscaping contractor for a number of years at our shopping center in Stowe, Pennsylvania. Buckwalter Landscaper Services Inc., manages our lawn care, landscaping, property clean up and snow removal services. We are very pleased with the services provided and can always count on a quick response from owner, Ryan Buckwalter. I would highly recommend Buckwalter Landscape Services, Inc. to anyone needing quality landscape services and a high level of customer service. We’ve been using Buckwalter Landscape Services, Inc. for our year-round property maintenance for nearly two years. Their lawn mowing and trimming is carefully done and our yard always looks great after their work is completed. 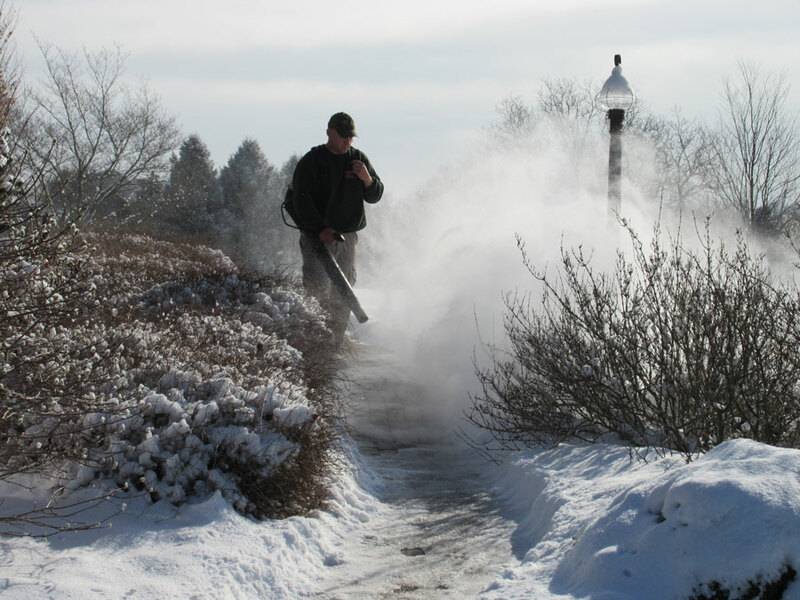 In winter, our sidewalks and driveway are taken care of in a timely manner and the work is very well done. The employees of Buckwalter landscape Services are unfailingly courteous, careful, friendly, and professional. So when we needed some serious work done on our year. it was obvious that we would want Buckwalter Landscape Services to do the work. This February we had 16 large trees removed from our property and another 8-10 relocated so that they would grow in a healthy way and not be completely smashed together. In additional, we wanted a fence built to give our patio some privacy from the road. Ryan Buckwalter and the experts on his team came up with a great plan and a beautiful design for the fence. The work was done carefully and in just two days. The fence is beautiful, affords us great privacy, and the work exceeded our high expectations, We highly recommend Buckwalter Landscape Services!! Buckwalter Landscape Services, Inc. is a full-service landscaping company. We look forward to meeting your landscaping and snow removal needs.